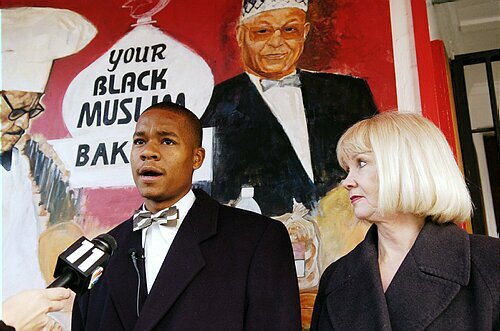 An attorney already facing suspension of her law license for smuggling an alleged hit list out of jail for the former leader of Your Black Muslim Bakery committed other breaches of legal ethics never made public, according to interviews and documents. The state Supreme Court is considering whether to bar Lorna Brown, 66, of Berkeley, from practicing law for two years for her role for conveying a sealed envelope to one of Yusuf Bey IV’s followers. Prosecutors say it contained a list of people Bey IV wanted killed to stop them from testifying in his 2011 murder trial for the death of journalist Chauncey Bailey and two other men. But new interviews with people close to the case and a review of court documents show that Brown committed other apparent violations of legal ethics that are not identified in the proposed settlement agreement before the court — and which are not being pursued by either the judge who handled the case or the district attorney. Brown ignored a verbal order from Superior Court Judge Morris Jacobson to cease all contact with Bey IV, visiting him in jail the day after the order was given in Jacobson’s chambers. Brown reneged on an agreement with the Alameda County District Attorney’s Office that she would retire if she wasn’t charged with a misdemeanor for taking documents out of Santa Rita Jail in Dublin at Bey IV’s behest. Brown, who specialized in capital murder cases and has also served as a substitute Superior Court judge, is one of the last unresolved chapters in a saga that began when one of Bey IV’s followers fatally shot Bailey on Aug. 2, 2007. The Bar Association’s recommendation of a two-year suspension, which would let Brown begin reapplying for her license after six months, is based on a settlement reached in December in connection with the “hit list” incident. It was sent on Feb. 15 to the California Supreme Court, which must approve the agreement. The high court has yet to schedule any action on it, according to records. Brown was Bey IV’s lead lawyer until the incident with the letter. The alleged plot failed quickly after Bey IV bragged about it to another inmate, who told guards. A bakery member with a violent past was arrested with the documents before anyone was harmed. Brown has told district attorney investigators she thought the envelope contained a love letter to Bey IV’s girlfriend, court documents show. Jacobson, then in charge of Bey IV’s triple-murder case and informed of the witness plot shortly after it fell apart, summoned Brown into his chambers on April 16, 2010, and ordered her to immediately cease all contact with Bey IV, Alameda County District Attorney Nancy O’Malley confirmed in an interview last month. Because Bey IV wasn’t present, Jacobson did not hold a formal hearing on the order that day, O’Malley said. Brown then visited Bey IV in jail on April 17, 2010, O’Malley said. Brown didn’t tell Jacobson about it when he conducted a hearing on the order April 19, according to a hearing transcript. Brown later told district attorney investigators she didn’t believe Jacobson’s instructions were binding because the meeting in his chambers “wasn’t on the record,” O’Malley said. Jacobson was later informed of the jail visit, O’Malley said. He took no action. Experts said, at the very least, the visit could have led to contempt of court charges against Brown. Jacobson declined to comment on the matter when reached earlier this month. Neither Brown nor her lawyers, Michael Cardoza and Christina Arguedas, returned repeated phone calls and emails. Two legal experts said there is no question the order was official the moment Jacobson first gave it verbally. “A judge’s oral order is binding,” said David Carr, a San Diego lawyer who represents attorneys in ethics cases. It is unclear what state bar investigators knew about the order or jail visit.